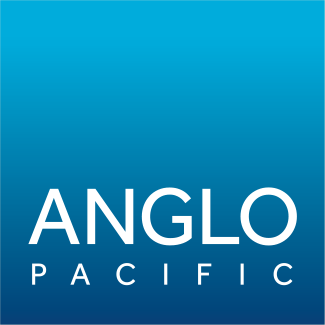 Anglo Pacific Group PLC (“Anglo Pacific”, the “Company” or the “Group”) (LSE: APF, TSX: APY), the London and Toronto listed royalty company, issues the following trading update for the period 1 January 2018 to 15 May 2018. Unless otherwise stated, all unaudited financial information is for the quarter ended 31 March 2018. Anglo Pacific is pleased to report another very strong quarter of cash generation, reflecting the resilient commodity pricing seen across our royalty portfolio. Of particular note was the 130% increase in the vanadium price in Q1 2018 compared to the corresponding quarter in 2017. The outlook for commodity prices looks set to strengthen further, with Q2 2018 consensus forecast for coking coal now 50% higher than what was envisaged 12 months ago. Consensus for 2019 is already 12% ahead of what was expected at the beginning of 2018, and thermal coal shows a similar trend. Given the improvement in outlook for commodity prices we expect to report further organic growth for 2018, although not at the same high levels experienced over the past few years. The well-publicised longwall changeouts and production shortfalls at both Kestrel and Narrabri during the quarter, which caused a 6% reduction in like for like royalty income, are expected to be made up in full over the remaining nine months of the year. Both longwall changeovers are now complete, and our sales volumes estimates for 2018 are unchanged, with both Rio Tinto and Whitehaven maintaining their production targets for the full year. As a result of this maintained guidance for full year production at Kestrel and Narrabri, coupled with the continued improvement in commodity prices, the Group expects to accumulate significant cash over the course of the year. With £18.7m (~US$25m) in cash at the end of March, the receipt of US$2.5m from the Indo Mines debenture in April 2018 and with full access to its US$40m borrowing facility, the Group is in a very strong financial position from which to self-finance further opportunities and cover the dividend. We are also currently in the process of enlarging our existing bank facility to reflect our greater debt capacity and provide further liquidity for growth. The Group does however expect free cash flow to dip in Q2 2018 due to the Kestrel royalty being paid on account based on the prior quarter. In Q1 2018 we were paid on account based on a very strong Q4 2017 and this has led to the prepayments exceeding the actual royalty by A$2.3m. As a result, there will be a clawback in Q2 2018, along with payments on account based on the lower Q1 2018 income. This has no Income Statement impact and is simply a timing difference in receiving the Kestrel royalty. “We continue to generate significant cash from our portfolio, have immediate access to ~US$65m and are currently in the process of upsizing our bank facility. The focus for the year is firmly on growth and we continue to work very hard on exploring, evaluating and appraising new opportunities. This announcement contains inside information for the purposes of article 7 of EU regulation 96/2014 (as amended).